Nicole Moyo’s sustainable waste-to-energy infrastructure Ukubutha can be constructed by slum communities to enable them to live self-sufficiently. 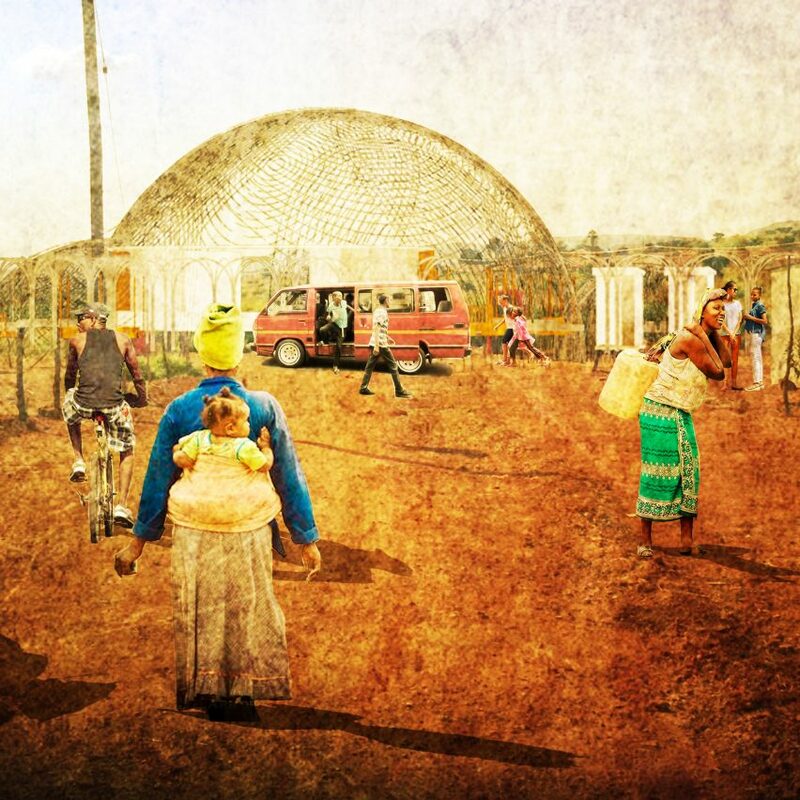 Presented at this year’s Design Indaba, Ukubutha is a concept system of dome-shaped huts that collect biogas from human waste to turn into energy, and fertiliser for community gardens. South African urban designer Moyo developed the system to empower low-income communities to create their own energy and waste systems, and provide them with ownership of the infrastructure that they can maintain themselves. “Ukubutha is a response to an international crisis, today more people have access to a mobile phone than they do to basic sanitation services,” Moyo explained at the conference. 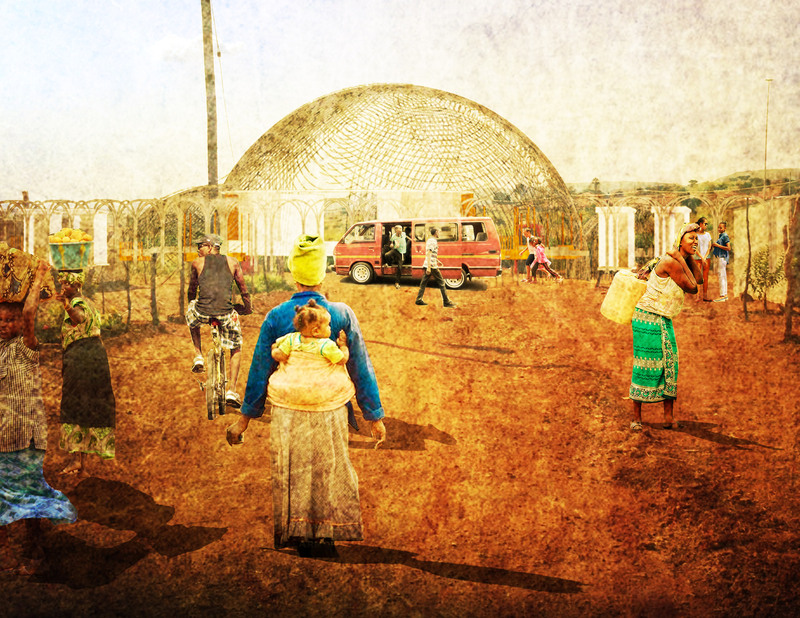 Ukubutha was initially designed by Moyo for an informal settlement in South Africa‘s administrative capital Pretoria, but she hopes it will be adapted for use wherever required. 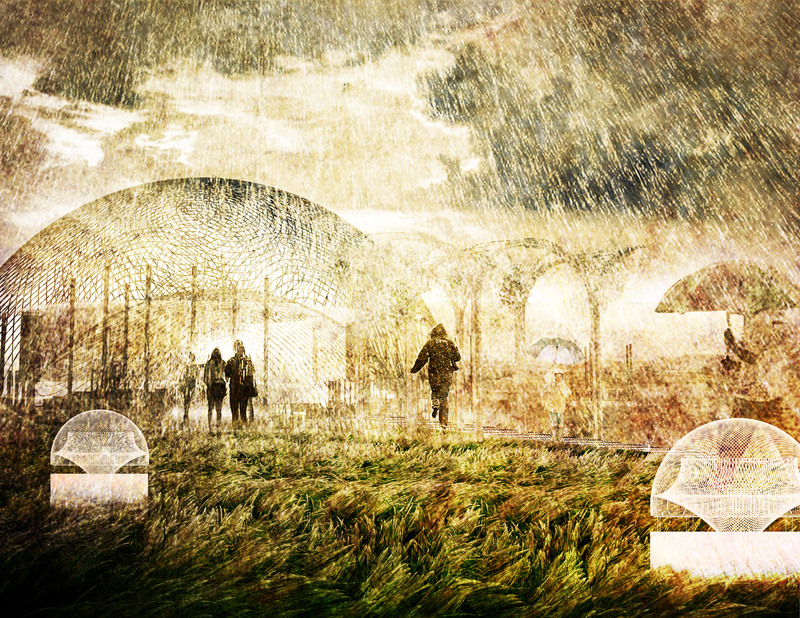 The design takes the form of a series of huts, which are positioned in open areas along main streets for ease of access. Inside, they house toilets and anaerobic digesters to collect methane, a renewable fuel source produced by human waste. The anaerobic digesters chemically break down organic material to produce biogas – a methane-rich gas that can be used as a fuel. Residents can use the methane to cook at home or in communal areas, while the remaining waste is transformed into fertiliser to be used in community gardens to grow crops. The form and structure of the huts are a modern interpretation of South African “dome bee hive” huts, which are made from materials like thatch grass and bark, with polished cow dung or concrete floors. While Moyo’s scheme replaces these materials with weather-proof alternatives, they are constructed with similar, simple building techniques that allow communities to easily build the huts themselves. Ukubutha will also incorporate communal spaces for residents to learn skills, as well as cistern-wells, where water is harvested from rain, mist and fog, for safe drinking-water facilities. Informed by the design of Warka Water‘s wooden tower structures that harvest water from the air, the wells will have a woven outer-membrane made from local wood, bamboo and bioplastics. Design Indaba is an annual design conference. It took place this year between 27 February and 1 March, with other projects on show including an eco-friendly coffin, and a system of digitised couture that reduces the amount of fabric needed to make clothes. 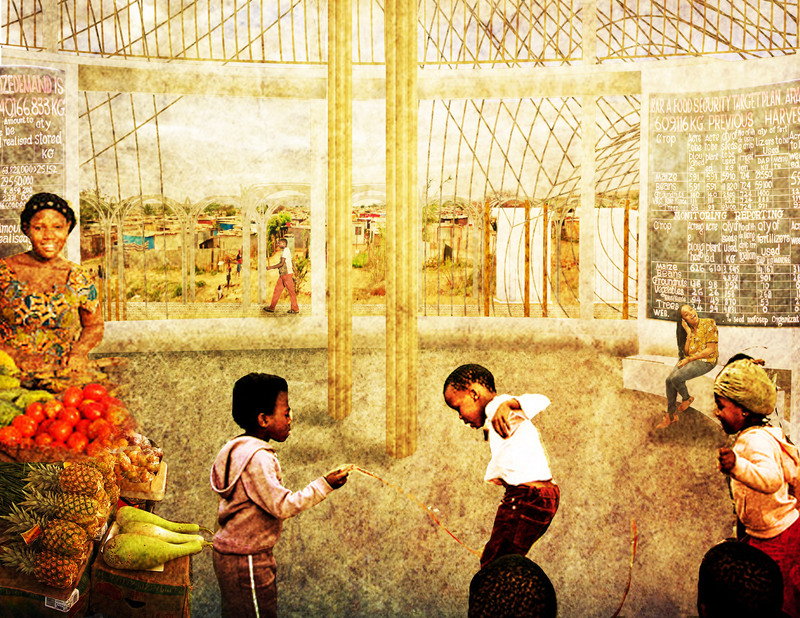 The post Nicole Moyo’s waste-to-energy system will “mobilise communities in informal settlements” appeared first on Dezeen.